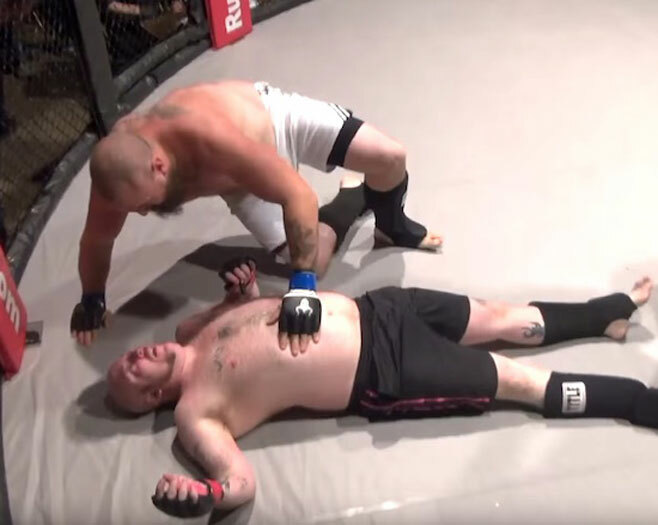 MMA cage fighter Travis Wolford exploded poop all over the cage as he lost total control of his bowels after being defeated in a chokehold by heavyweight rival Daniel Cooper. 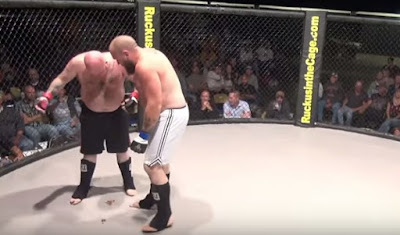 The fight was held at Ruckus in the Cage in Beckley, West Virginia on October 3, 2015. After the referee had stopped the fight, Wolford, who tapped out from a rear-naked choke, lied on the mat for about 10 seconds to catch his breath before getting back on his feet. Wolford went to a chili festival in town just before his fight and he pooped chili beans in the cage! Bleacher report then gave him the nickname "The Brown Bomber." One woman is heard hollering on the video saying “oh my god, I’m going to throw up!” Wolford was probably too embarrassed after realizing his shameful mishap as he left the cage. The commentator tried to lighten the mood and jokingly called for volunteers to clean up the mess. Lesson learned here: Do not attend nor participate in any eating or food festival on the day of your fight.